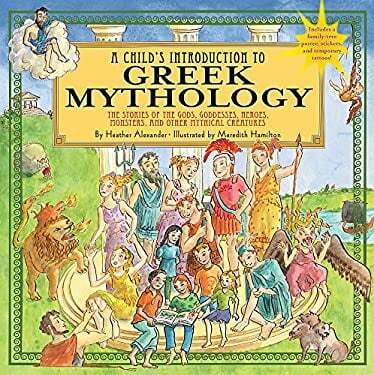 Packed with action, adventure, tragedy, and triumph, "A Child's Introduction to Greek Mythology" acquaints kids with all the fantastic and memorable classic Greek myths. Includes a gods and goddesses family tree poster, stickers, and temporary tattoos. Full color. Consumable.